Who are Powys Safety Solutions? Powys Safety Solutions is like a friendly bus service. We transport businesses throughout the area; businesses who care about the well-being of their employees but may need assistance complying with the many and varied bits of legislation. We carry you safely through the Health & Safety maze while you enjoy the ride and get on with what you are good at; running your business. The benefits for you include a healthy and safe workplace with happy, productive staff, customer confidence, fewer claims and insurance costs and a business that complies with its legal obligations. Who are our target business partners? Successful, expanding businesses throughout Wales and England from sole-traders to nationals. If you care about your employees, we care about you. We give you the best service, so you can provide the best service to your customers. Call now, or use the contact form for a no-obligation consultation. Powys Safety Solutions operate throughout Wales including Powys, Ceredigion and Gwynedd and throughout England including Somerset, Wiltshire, Cheshire, Shropshire, Herefordshire, Gloucestershire and Worcestershire. 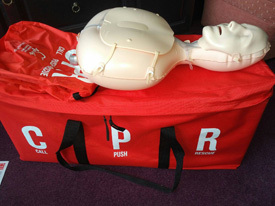 We are currently in possession of 8 inflatable CPR mannequins suitable for training in schools and with youth groups. They are also available singly as loan units for people who want to practice with their children at home, for example. Please call the office on 01686 412048 or email us at office@powyssafety.co.uk for more details. Face fit testing is now a legal requirement for anyone who wears a tight (or close) fitting mask for work. Please visit our Face Fit testing page for more. 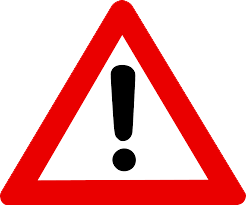 Need help applying for CHAS, Constructionline, Safe Contractor, Exor, Safemark, Achilles and Safety Schemes In Procurement (SSIP)? Please visit our Safety Schemes In Procurement (SSIP) page for further details. The Dechoker anti-choking device (ACD), can be used to save lives in every community and is ideal for village halls, coffee shops, pubs, schools, businesses and even in the home. AVAILABLE FROM POWYS SAFETY SOLUTIONS!